Earlier this winter, two Toronto landlords from the same neighbourhood teamed up to hang posters with a photo of the same tenant they say scammed them. According to a news report, at least three adjacent landlords encountered the same tenant, and had the same experience: the man lived rent-free while the eviction process dragged on for months. In the meantime, this tenant allegedly made money by collecting deposits from unsuspecting prospective roommates, and then cutting them loose days before they were to move in. The landlords suspect that the references given, including the employer, were fake. The tenant also allegedly offered the landlords a doctored credit report. While the credit report appeared to indicate a recent credit score, it actually may have been much older, according to the report. And it didn’t reflect previous judgements assessed against the tenant for tens of thousands of dollars of unpaid rent. A tenant credit check is a useful tool in catching scammers because it is prepared by a third party, and the tenant can’t simply delete bad information. But it’s important that those credit checks come from a reliable source, not the tenant. Credit checks obtained through TVS Tenant Verification Service are authentic, come directly from a credit reporting agency, and can reveal whether the applicant is a scammer. There is no way to verify a printed report supplied by the applicant, so the best practice is to order the report directly from TVS and not risk income loss. With a tightening rental market, landlords should expect to see an increase in similar scams, whether it’s a fake credit report or fake references. Stick to the routine when running tenant background checks, and don’t allow bad tenants to talk their way out of it. Professional tenants are notoriously charming. People who have no problem stealing also have no problem lying. It is the ultimate act of disrespect. It is good to keep that in mind when meeting rental applicants. Do not allow the charm (or the sympathetic story) to deter the tenant background check. Tenants who move around a lot may be dodging evictions. Note the dates on the rental history, and question the tenant who leaves at odd intervals, especially when the person moves frequently. The previous landlords should be consulted before agreeing to lease to an applicant. There is nothing to be gained by meeting the former landlord in the street or in court after the tenant has gotten away with it. 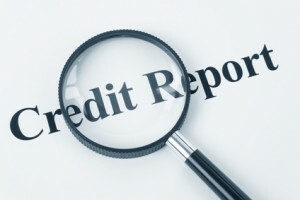 Never ever ever accept a credit report given to you by an applicant as being legitimate, up to date and accurate. Its very easy to simply cut and paste a letterhead and falsify a report. When an applicant gives me a copy of their credit report I thank them for it, I take the copy and I tell them I HAVE to do my own credit report as I do that for ALL applicants and everyone must be treated equally. If the report that I conduct is the same as the one the applicant has given me, that is certainly a plus…….but if its different in any significant way…..that’s a rejection.